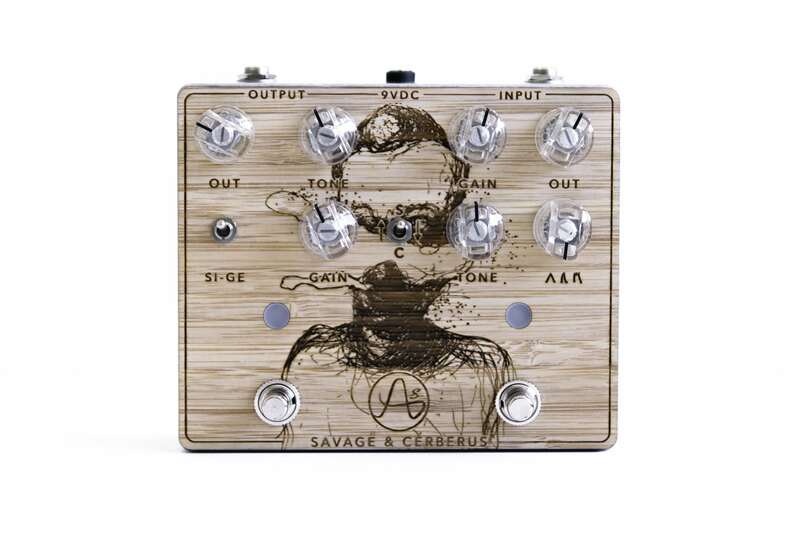 SAVAGE & CERBERUS - limited edition double overdrive pedal ! savage + cerberus = killer tone ! 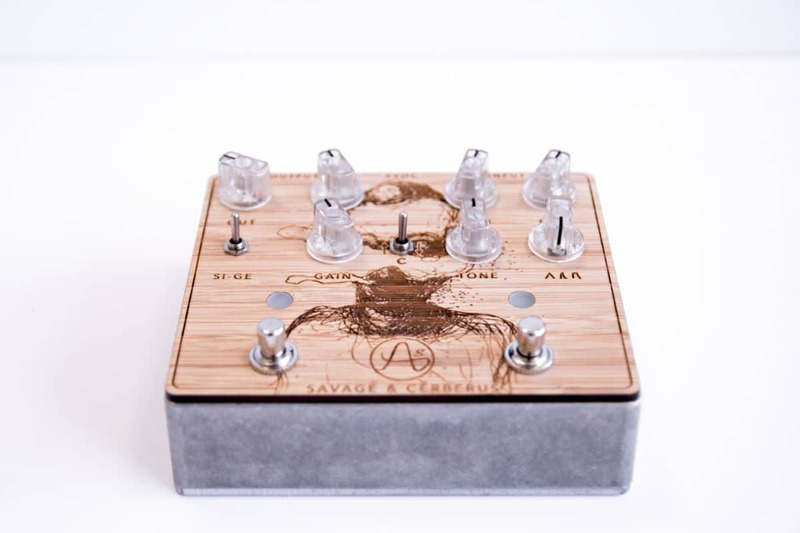 we are glad to present you the second pedal from our new limited format, the Savage & Cerberus ! one cerberus and one savage in the same enclosure ! instant killer tone guaranteed. 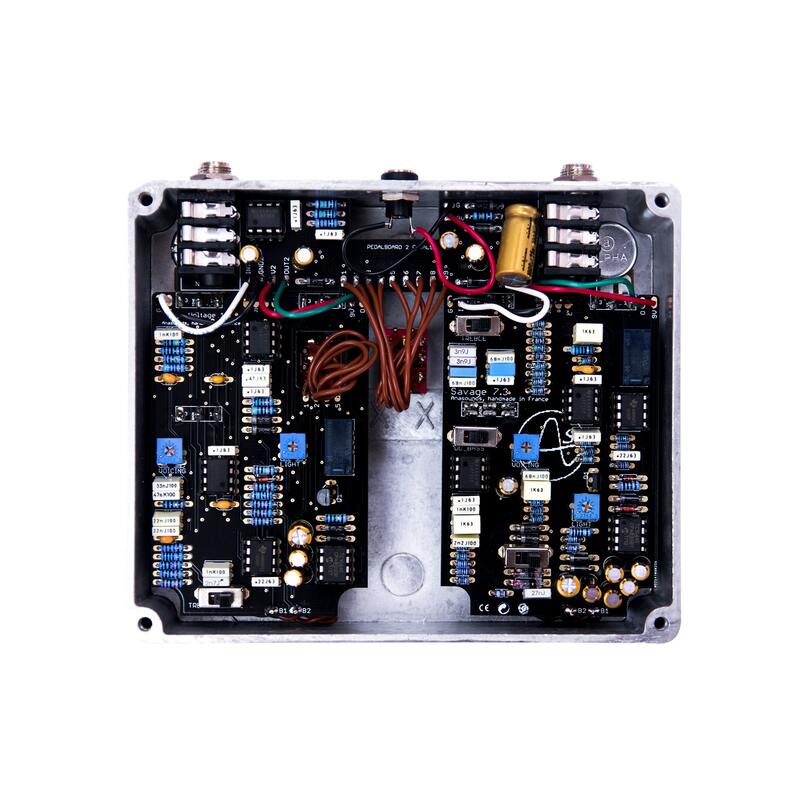 1 savage overdrive, which is our transparent overdrive inspired by the klon centaur. plus a switch to jump from a silicon to a germanium clipping. 1 cerberus overdrive which has 3 voicing, enough to play easily different styles of compression with plenties of guitars. 1 small switch allows you to invert the 2 pedals in the signal chain. ex, cerberus into the savage, the savage into the cerberus. to supply all the system and to prevent from noise. better than power blocs ! both pedals are true bypass with relay switching and soft clic footswitch. which is impossible to break and costs us much more than classic 3pdt ! 1 bumper buffer is included before both of the pedals to be ready for stage ! on the slap, swan just use the savage as a high-mid enhancer. on the rythms, it’s still the savage with the hairy gain preset which is more louder! on the licks at the end, he kept the savage with the same setting and then, he’d activated the cerberus as a gain booster ! this rad combination gives harmonics and colors to get out of the mix and free your creativity. 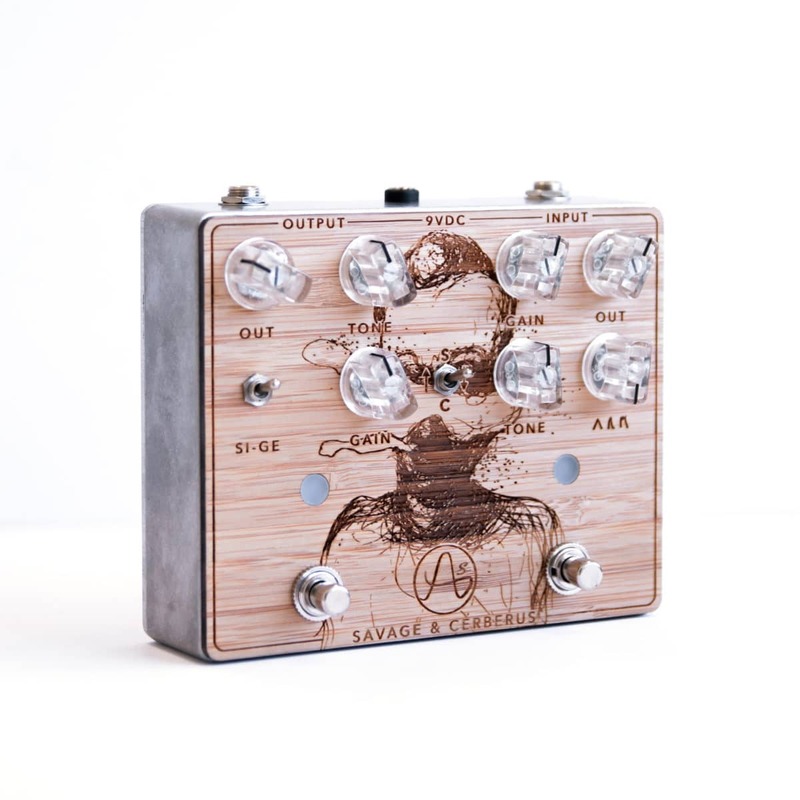 it’s now your turn to find your own tone thanks to this limited edition and you, amazing guitarist ! that’s why the second part of the video shows you what you can get directly from a basic clean tube amp. enjoy ! 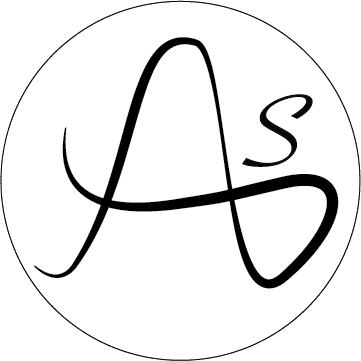 this is live, now ! we decided to manufacture only 50 pieces that are registered, after that it’s over. truly, 50 pieces, as for the first serie savage & high voltage which is now out of stock !